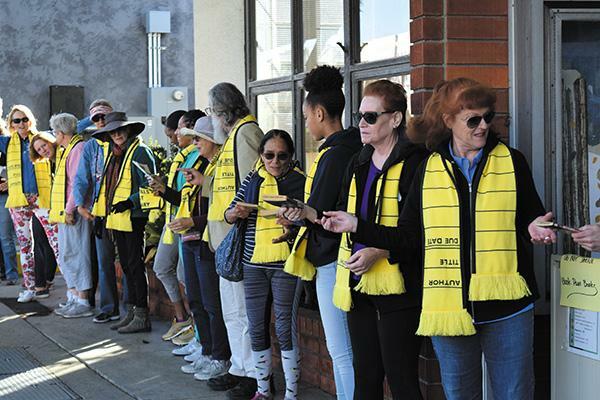 More than 2,000 residents formed a six-block line along West Washington Street Jan. 26, as the community joined together to help move the final books from the Mission Hills Branch Library to its new location. 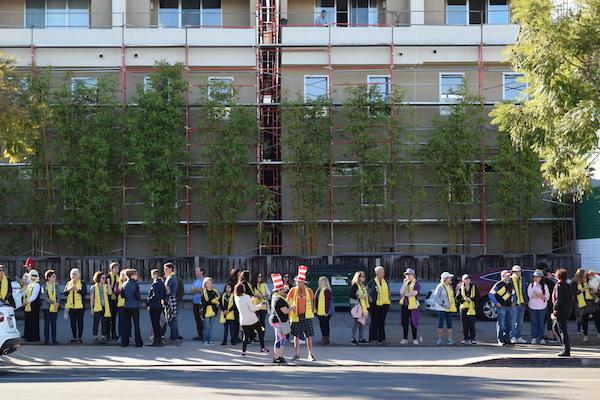 Despite the heat, volunteers stood side-by-side for nearly an hour. 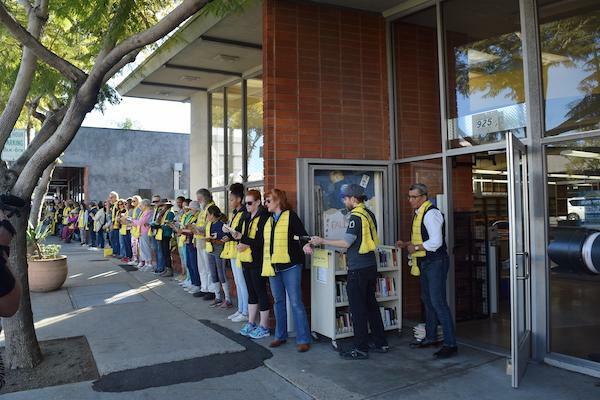 Draped in yellow scarves, designed in the style of library borrowing cards, they transferred the books across streets and intersections. 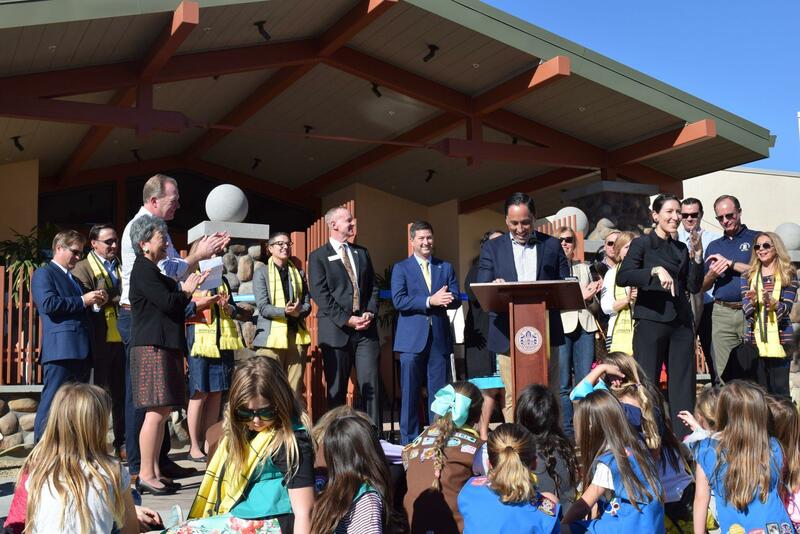 Celebrating the culmination of a project years in the making, community members and public officials gathered to commemorate the opening of the recently completed library, officially known as Mission Hills-Hillcrest/Harley & Bessie Knox Library. 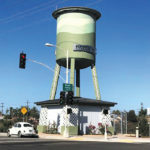 It was constructed by C.W. Driver Companies and is nearly four times larger than the original facility. 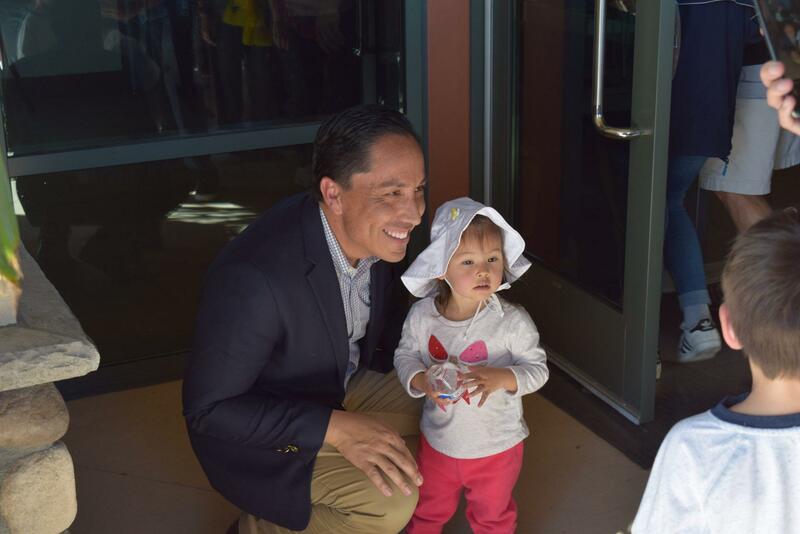 State and city public officials from around San Diego attended the inauguration at the new location, named in honor of the city’s previous mayor Harley Knox and his wife Bessie. 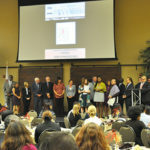 Guests included Mayor Kevin Faulconer, Rep. Susan Davis, Assemblymember Todd Gloria, and City Council member Chris Ward. 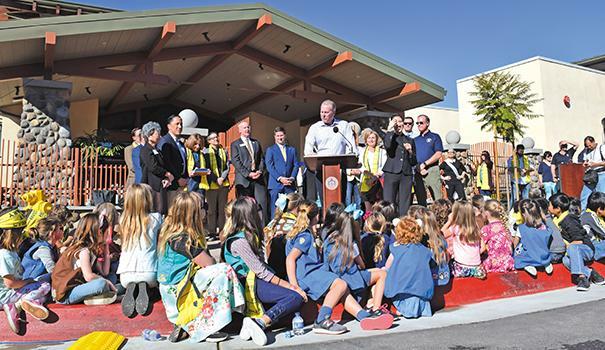 A local Girl Scout troop surrounded the podium as Faulconer began the ceremony. 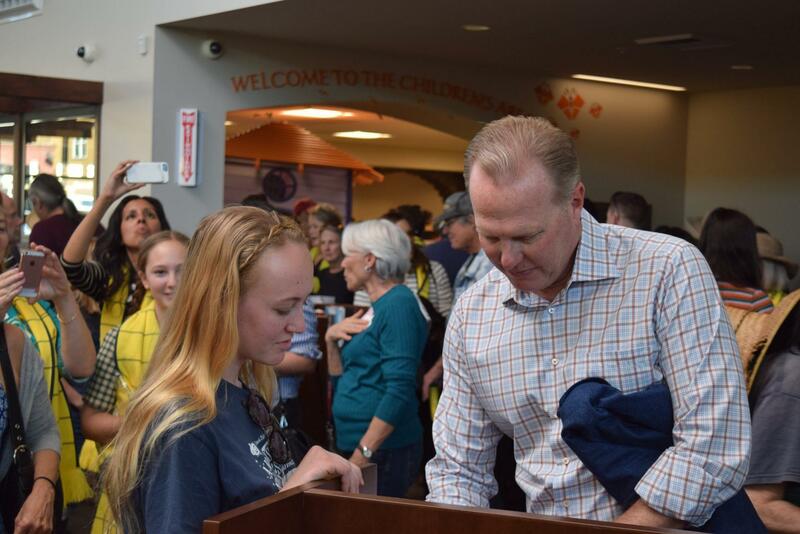 “This is one of the things I remember from when I was a council member and we said we wanted to not just have a library, but we wanted to have a library that would be beautiful, that was going to make a statement and last in this community for generations to come,” Faulconer said. 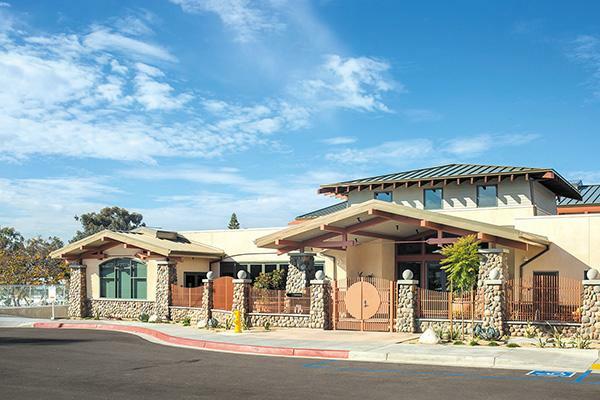 Built in a modern craftsman style, the new building offers a much-needed expansion of space and services for the Uptown library, previously called Mission Hills Library and located down the street at 925 West Washington Street since 1961. 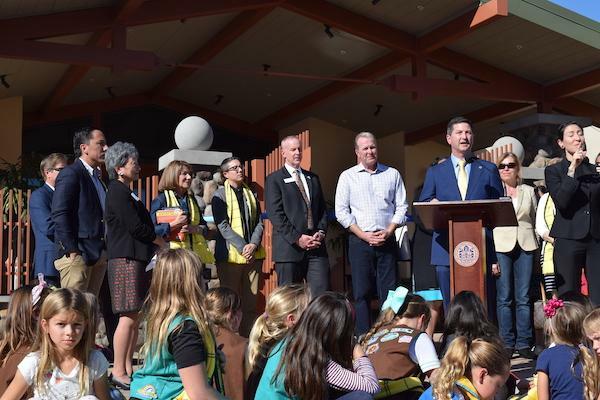 The project’s completion drew thousands of residents from the communities of Hillcrest, Bankers Hill, Old Town and Mission Hills, many of whom participated in the morning’s book pass. 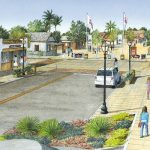 Since its initial design phase in 2013, the project faced a number of obstacles including funding issues and a lawsuit that caused delays. 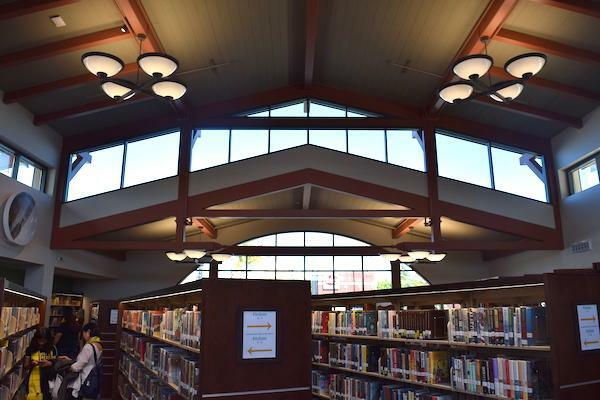 With a $21 million total in construction costs, a mix of bonds and private donations funded the library. Davis shared her commitment to supporting local public libraries by donating several books from the Library of Congress to the new branch. 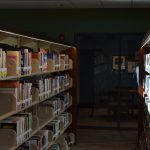 “As the mom of a librarian, I always say that libraries are the most egalitarian of all our institutions because everyone can use them, and nobody has to,” Davis said. 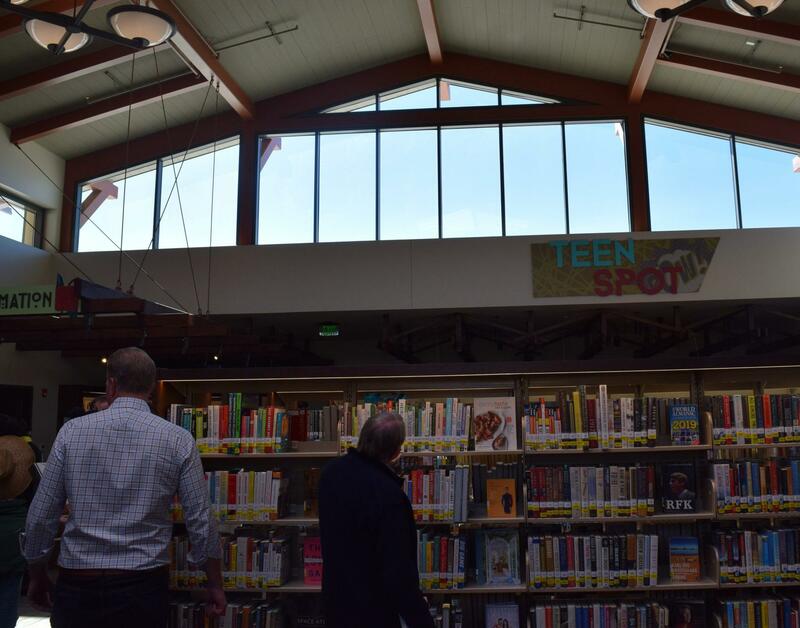 “As I look at all the children here, I know for you and for those very young children who walk through these doors for the very first time knowing this space was built for them to enjoy, it means the first sense of membership that their library card represents,” she continued. 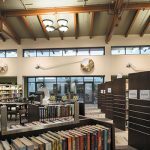 The new branch location features amenities that aim to help the space create a lasting impact on the community. 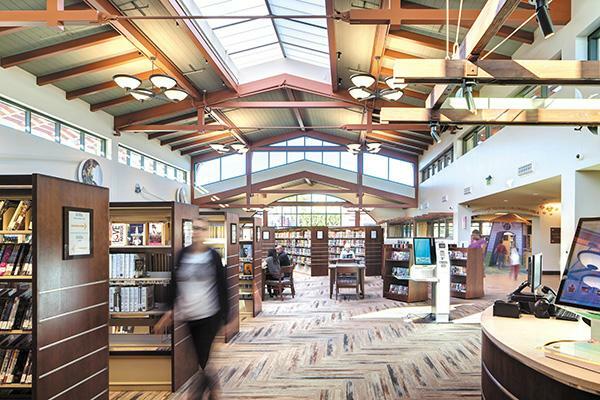 An expanded teen section, updated computers, quiet work/study rooms, a courtyard garden, and a J.R. Tolkien-inspired children’s reading and play area are all included in the 15,000-square-foot location. 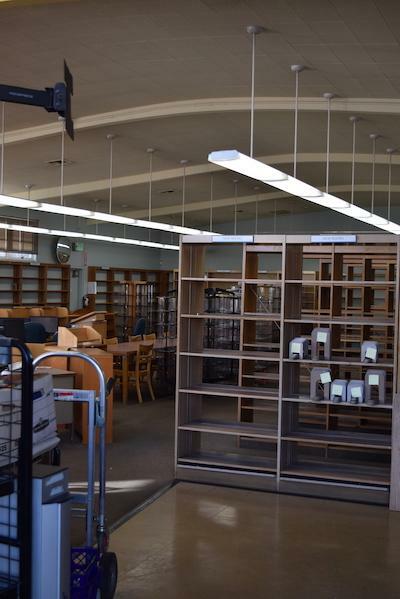 Additional space and facilities give the library the opportunity to expand its program offerings. 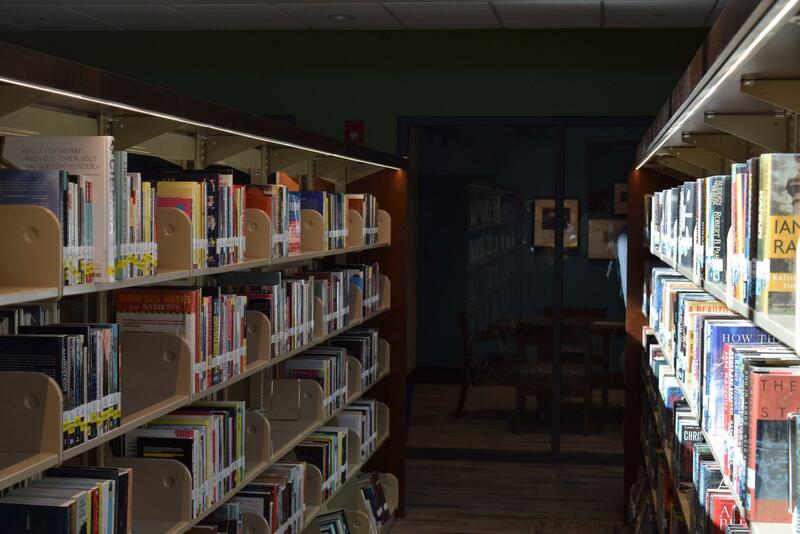 Events and programs for all ages such as reading groups, LEGO building, story-time sessions for kids, and community gatherings will all be included in the branch’s event calendar. 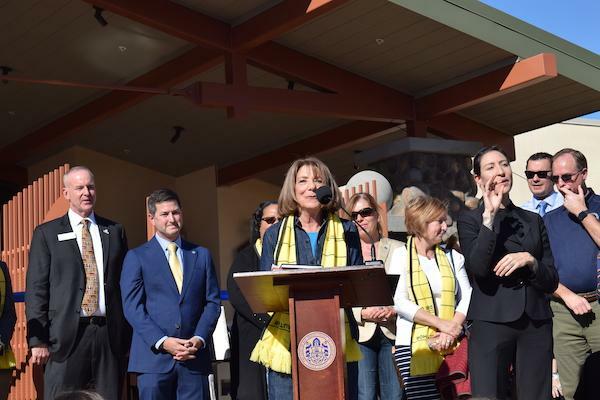 Gloria praised the Friends of the Library and others who helped make the project possible, touching on the importance for libraries to meet the needs of the community. 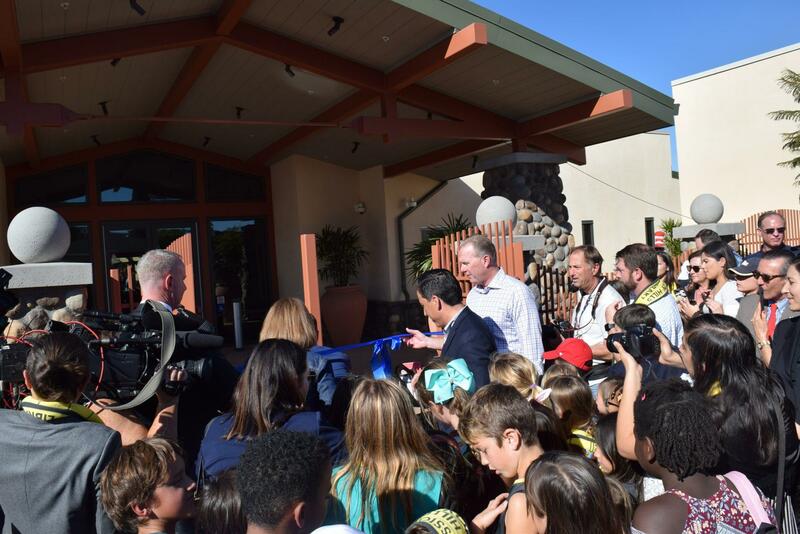 After the speeches, officials gathered at the entrance to officiate the grand opening of the library by cutting the ribbon and welcoming the public into the new community gathering space. 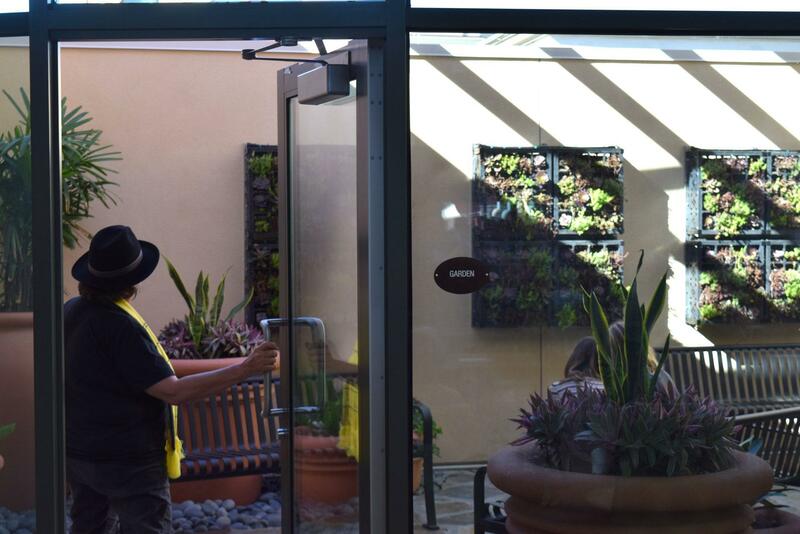 Once the ribbon was cut, the crowd flooded through the gates to get a look at the building’s interior. 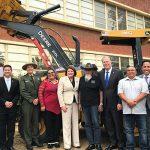 Officials mingled with guests, taking pictures and sharing details about the project. They also discussed future plans, such the ongoing San Ysidro library expansion which is set to wrap construction this year. 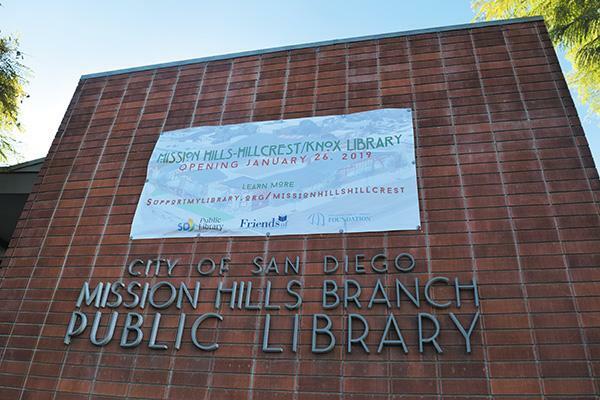 The Mission Hills-Hillcrest/Knox Library, located at 215 West Washington St., is open Monday-Saturday. For hours and programs, visit bit.ly/LibraryMH.